Hi Quick Update. In part 1 I promised when I had time I would make a prototype of a OM 12 Widget that would show a Visio document and update the health states on it. So , not that I had time but the coolness factor was to high , so I offered some hours on Sunday to get this working… yes you have read it correctly. I have it working ! 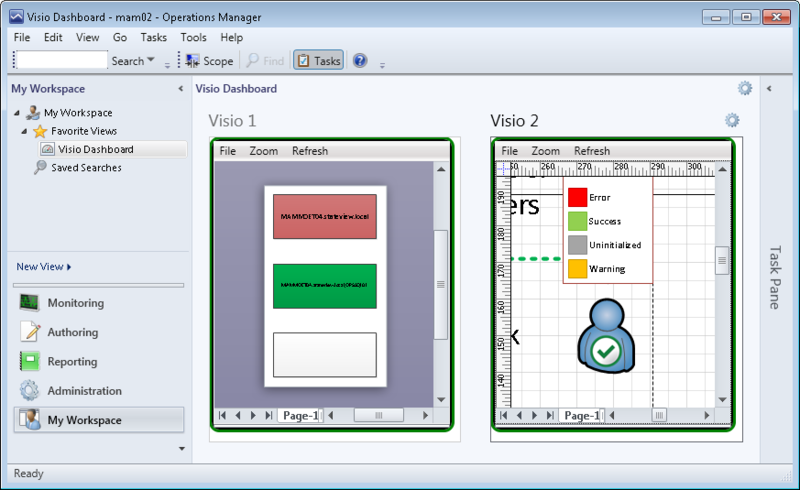 Make a OM 2012 widget and load a Visio document in it. Then refresh the shape data according to the OM target health states. Just the way the official Microsoft Visio SCOM plug in it does. So far I have it working as a prototype. Yes its stable but as every prototype not fool proof. See screen shots below. 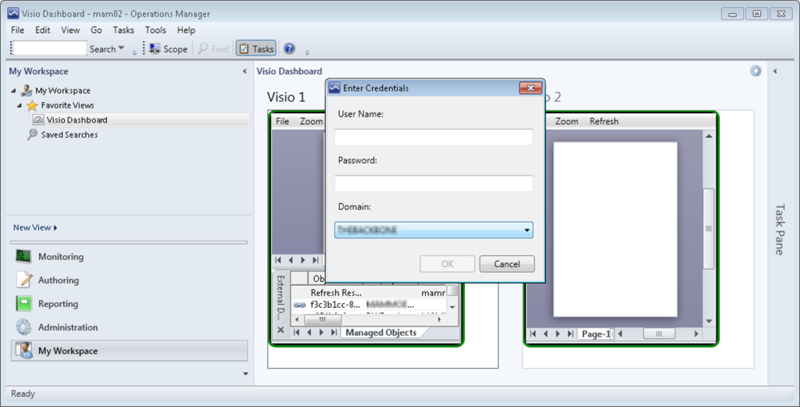 The prototype works based on Visio documents you have made with the official Visio SCOM plugin. 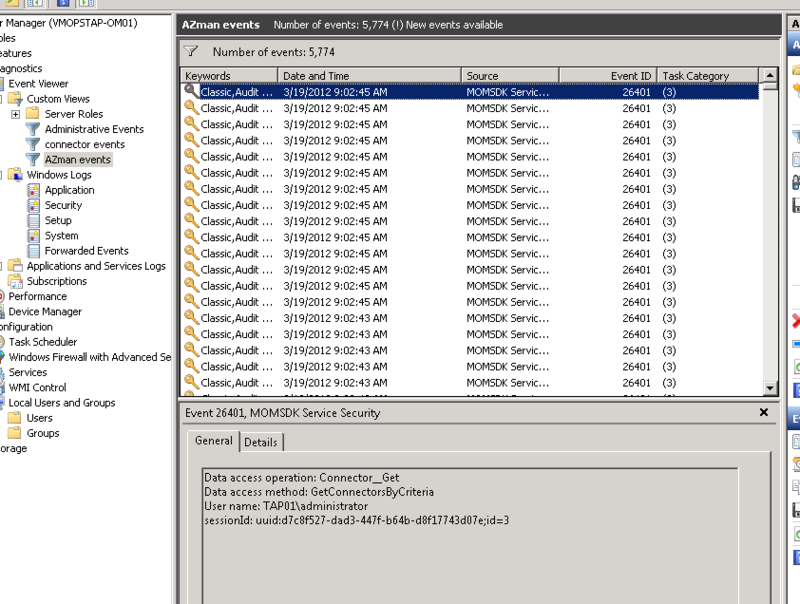 Just create the Visio document and drag the OM targets on it and save it. Then load it in to the widget , for now with File –> open. 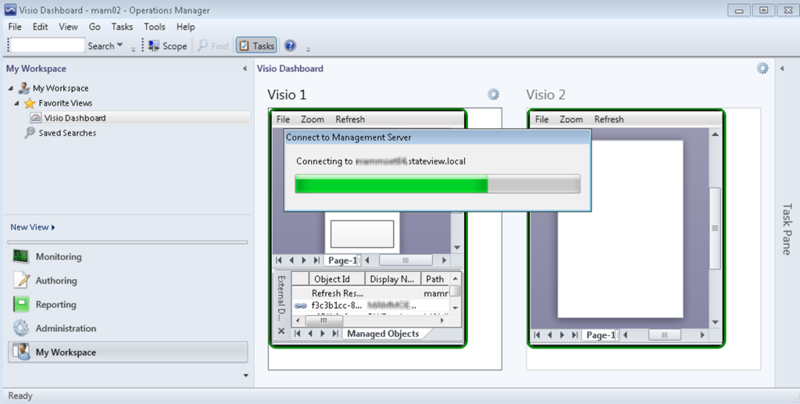 There is one rule: You must have Visio installed on the machine running the OM console. After getting a try timeout it shows the login form. Better would be that it takes the credentials you are using running the OM console . But … Again prototype facts. Sorry I really love being a nerd! (that’s what my wife says anyway) If you are honest you must admit this is really cool stuff!!. Since it will cost me for now to much time to finish a build I can share and because the VSAE is still under NDA and I maybe have plans with this. I will not share it for now. However I will try to convince the MS OM guys ( Dale , Marcin, Baelson hope you read this) to deliver this widget out of the box.. Happy Scomming and till next week!